Highly skilled DJ and a truly professional presenter. Provides a great show for all functions and events. Use only high quality equipment. All bookings are secured and confirmed in writing. Fully insured and all equipment is safety tested. Your event how you want it. Open and honest prices (so there's no hidden costs). 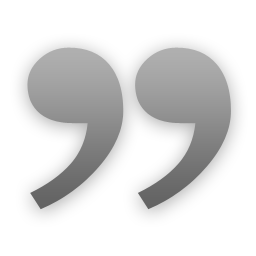 Your event is as important to me as it is to you and I will do everything I can to help make it a success. 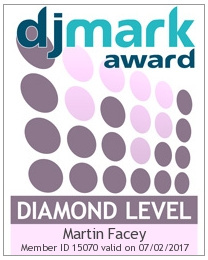 DJmark are the longest established and most rigorous awarding body for the UK mobile disco industry. 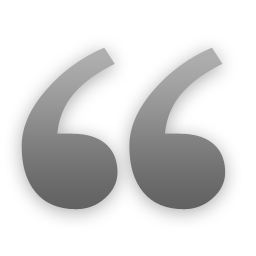 Working with mobile DJs in a number of different ways to assert their business practices are verified, legitimate, insured, and above all that they care. Consulting employers and industry leaders to make sure that assessments are relevant to the needs of all sectors. If you employ a DJmark Award holding DJ, you can be assured that you will be working with "one of the good guys"! To view or download a copy of the current company policy, please click the validator button above. MF Events UK has full public liability insurance cover for the maximum of £10million as required by most venues. "Martin IS the go to man if you want to have the dance floor full for the entire evening." everyone on the dancefloor all evening." "Mum had the best 60th birthday party. Thank you so much, look forward to seeing you at my best friends wedding."